Relish the memory. 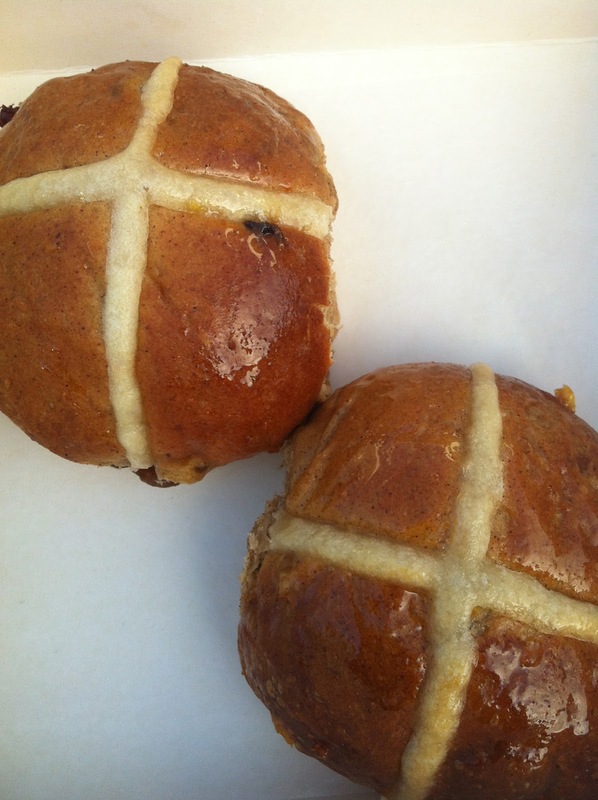 : Hunting for Hot X BUN(nie)S.
Hunting for Hot X BUN(nie)S.
The culinary palate at this time of year calls for two things: Chocolate (obviously) and Hot Cross Buns. 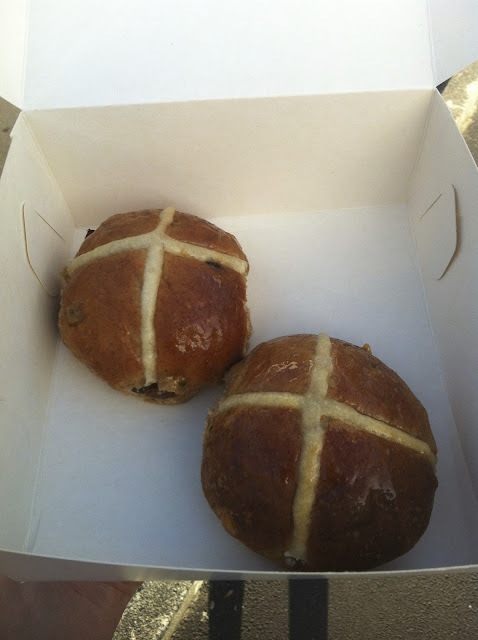 Fearing an impossible task in trying to discover the best easter eggs and inspired by the glorious features of the Denizen I opted to hunt down and critique the BEST Hot Cross Buns Auckland had to offer. Next stop was the infamous Sabato Deli. The buns here are delivered fresh every morning from the award-winning Wild Wheat Bakery. Fellow foodie and I meandered around cleansing our palate and filling our intrigue with the latest and greatest olive oils, vinegars and chutneys. After ooing and aahing at every new product we made our purchase and prompt exit. With a darker colour tinge and slightly more dense texture we barely reached the end of the driveway before giving them a try. Slightly less sweet than the first, this one carried a strong citrus tone and although chewing required a tad more vigour it was a pleasure all the same. Vouching as slightly heavier on the spice sector I wandered home to devour them both hot. Both were delicious in their own right and mental notes were reserved for judging later. The next two contenders were found on Dominion Road. Pandoro Panetteria has a series of retail bakery branches throughout Auckland and Wellington. Their bun was the most expensive of all purchases. But one taste-tester had it as her ultimate ‘fave’. I found this one to be particularly lemony and sweet with big chunks of zesty orange peel, it was relatively light but a pleasant texture all the same. The second D-road purchase was from Nosh Food Market - the boutique supermarket who house the brand Loaf; Handcrafted breads created by Sean Armstrong. This little number was much darker on the colour palate, rather dense and almost cakey in texture. With its strong gingery undertones I likened it to a gingerbread loaf (fancy that) studded with raisins and currants. But the particular bun chosen by the Nosh café staff was a crusty corner, nearing the stale scale. Putting it at a slight disadvantage from the get-go and meant it demanded to be consumed at home with its’ dear friends heat and butter. Chocolate vs. Original - battling it out at Tart Bakery. After three failed attempts to taste-test Little and Friday’s version of the HCB. I resorted to finding another contender. My next entry was Tart Bakery a relatively new addition to the Grey Lynn suburb. As I watched the super-friendly, super-passionate lady at the counter sprinkle fresh white dust over a customers’ Raspberry Brioche I knew this would be a strong contender. Trays of both classic and chocolate Hot X Buns adorned the top of the cabinets and for research purposes I ordered one of each. The cheapest of the haul I headed home to taste test and both did not disappoint. The chocolate version was to be expected – sweet, sticky and delicious. Call me old-fashioned but it was only the spiced versions that had a shot in this race. Having the highest fruit ratio of all meant it upped the sweetness stakes, complemented by just a touch of spice all together it made for a pleasurable mouth experience (with the right amount of chew!). Extra points for the flavour and texture of their white cross. Most fruit & best cross. One final stop lead me to losing my Whoopie Pie virginity. 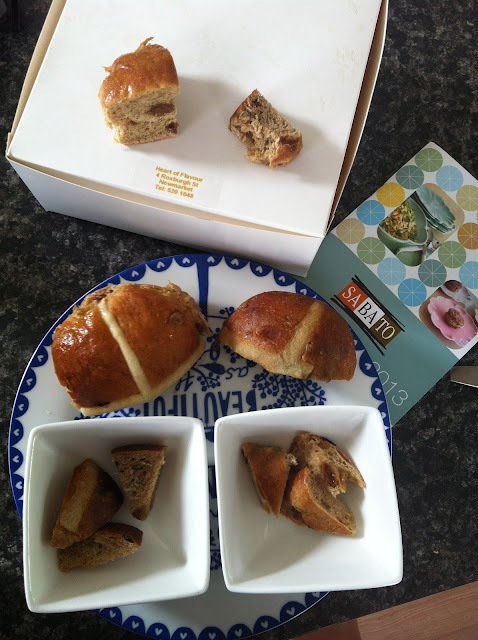 And what better way than with an Easter Hot X Bun inspired version. Spiced, orange, fruity cake domes filled with orange buttercream and topped with a white chocolate cross of delight. Needless to say I enjoyed it very much. Although when a girl wants an HCB no matter how whoooop the pie might be. Simply nothing else will do. My winning Hearts of Flavour. 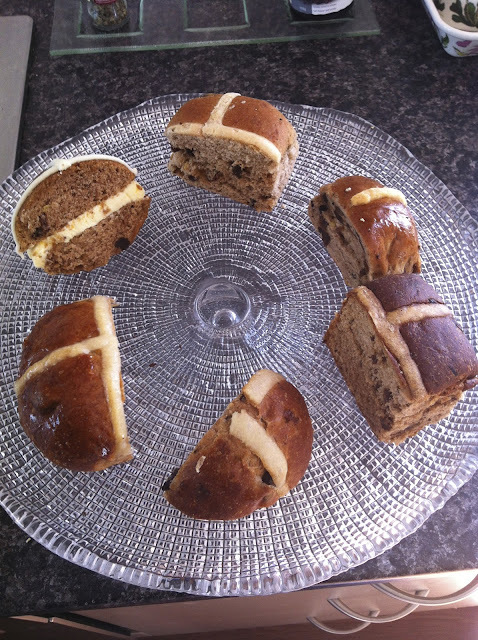 Note: Unfortunate circumstances meant that on my Easter Sunday I was deprived of consuming my winning buns of choice. 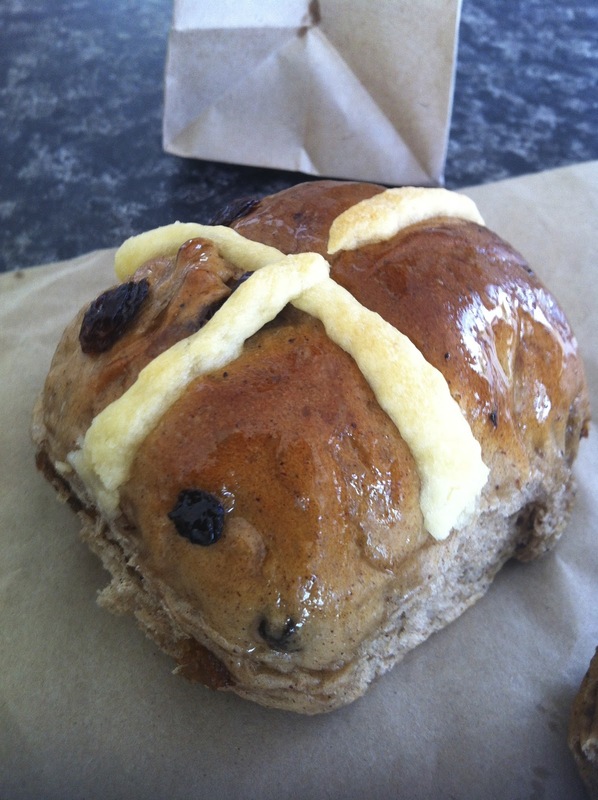 Resorting to the trusty Te Puke Bakery, my point was proven that served with warm and buttered any Hot Cross Bun devoured on Easter will be satisfyingly delicious. You must live close to me as all these places are local to me too. Excellent round up and judging and it must be hard to sample so many good but similar buns while still keeping up enthusiasm. The whoopie pie one looks pretty funny. I think I'd pick that one on ingenuity alone.